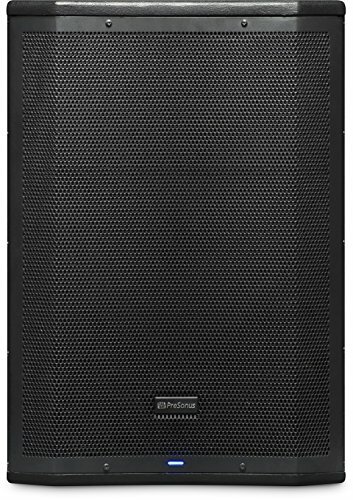 Equally at home in mobile and installed systems, PreSonus AIR15s active subwoofers feature a 15-inch LF driver, driven by 1,200W of Class D power for a powerful, clear, and accurate low-end punch down to 35 Hz. DSP presets enable extended low-end performance and let you create ground-stacked or end-fire subwoofer arrays. A variable alignment delay properly aligns your three-way system. Use the low pass filter to set a crossover frequency for a smooth transition from sub-bass to full-range, adjust the master output level of the power amplifier, even turn the grille LED off for install applications or set it to illuminate only when the protection limiter is engaged-all at the touch of a button. AIR15s subwoofers also include integrated ground-stacking provisions and a castor kit. If you have any questions about this product by PreSonus, contact us by completing and submitting the form below. If you are looking for a specif part number, please include it with your message.